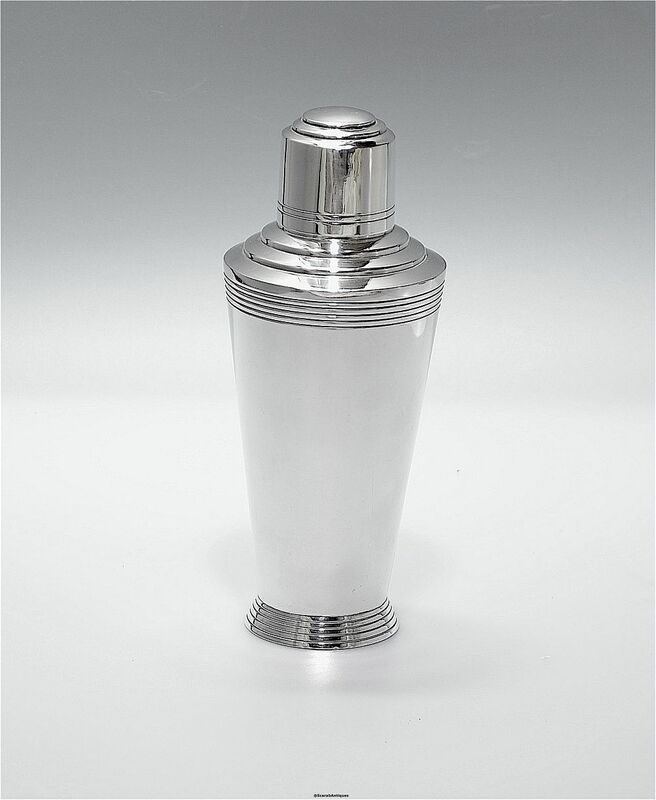 Another wonderful cocktail shaker by Keith Murray for Mappin & Webb but this one does not have a handle or a spout. It has the conical body with graduated top and the incised rings around the foot and the top of the body of the shaker and around the base of the top. This shaker has the removable strainer which is often missing. 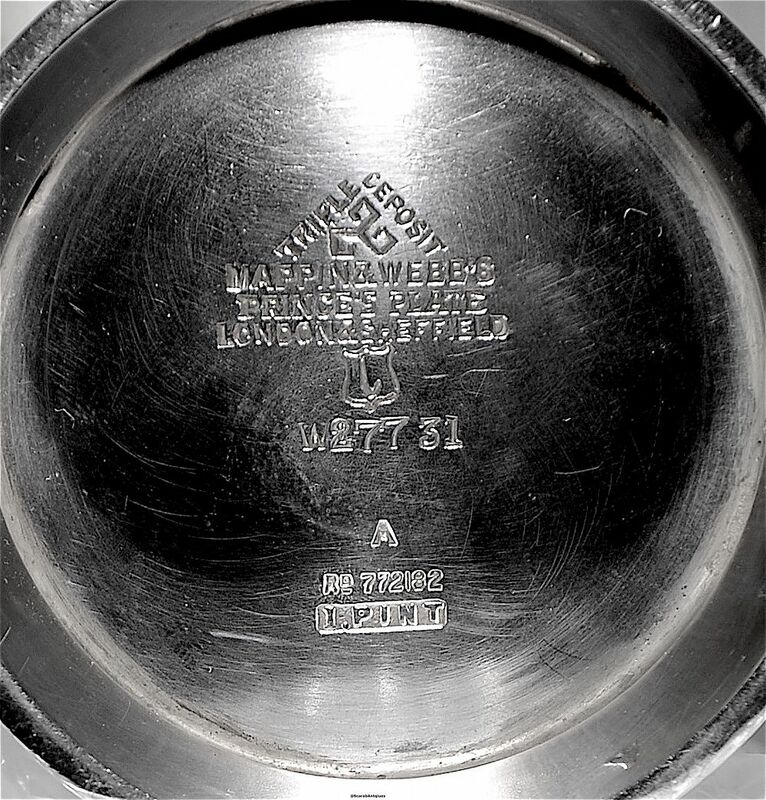 The base is signed " Triple Deposit Mappin & Webb Prince's Plate London & Sheffiled W27731 ARd. 772182 1 Pint". It also has the Treskilion type mark and the date letter "L" in a shield shaped cartouche.